The harmful environmental effects of plastics are well-documented by now, but the material is so integrated into the way we live our lives that it would be difficult if not impossible to simply stop using them altogether. Instead, scientists are looking for non-petroleum-based alternatives that could make plastics biodegradable and safer overall for the planet. One of the latest alternatives comes from a research team at the University of South Carolina. They have been altering the natural resins from conifer trees through polymerization to create planet-friendly, sustainable plastics. 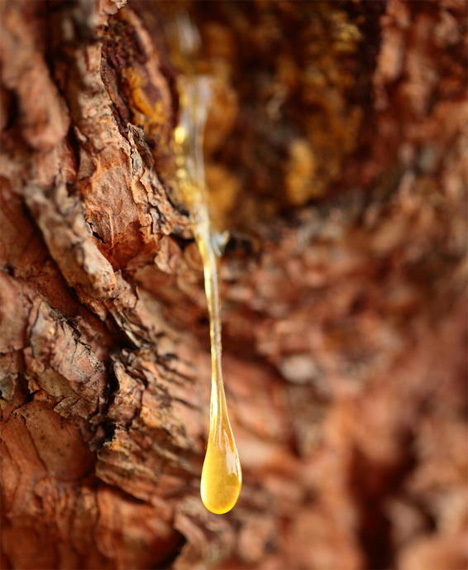 The rosin and turpentine found in evergreen trees contains hydrocarbons similar to those found in petroleum-based products, making them an ideal starting point for greener plastics. Although current renewable plastics are inferior in performance to petroleum-based products, professor Chuanbing Tang believes that his research can help change that. He and his team are studying the macromolecular structure of conifer-derived polymers to understand why they perform differently than conventional plastics and get the kind of results that manufacturers have been getting from petroleum-based plastics for decades.